If you are a dog owner who is occasionally out of town for work or pleasure then there is no reason why you should feel bad about this. In fact, by choosing Fireplug Bed & Bath for your dog’s boarding needs, you are providing him or her with a holiday while you enjoy yours. 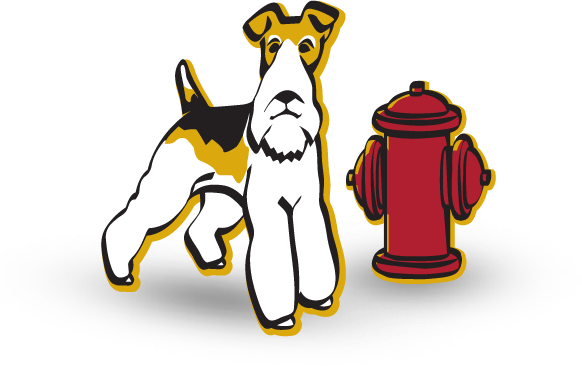 At Fireplug Bed & Bath we take great pride in the level of care and attention afforded to all dogs who stay at our premium boarding facilities. Choose from Efficiency kennels, large dog runs to private suites with individual time out each day and a television. Each of our guests enjoy four walks per day and complimentary treats, if diet permits. For us, the number one priority is to always treat our canine visitors as generously as possible, and thanks to the number of loyal clients who have returned to our service, we like to think that we are achieving this goal. Aside from anything else, maybe the biggest advantage that you will receive from investing in professional boarding service for your dog is peace of mind, and when all is said and done, this is priceless. When you invest in a boarding service from us you are guaranteed that your dog will receive the appropriate level of care and attention, as well as ensuring that any dietary requirements or medication is properly adhered to. All Canine guests must have proof of immunization for Distemper, Rabies, Parvo and Bordetella (kennel cough). At Fireplug Bed & Bath we never settle for second best and you shouldn’t either. So, when it comes to giving your dog the best care possible there really is only one number to call. Our experience added to our constant desire to improve our service really is a winning combination and one that every dog should experience at least once. So, if you are going to be out of town soon, why not treat your four-legged friend to a boarding experience that will keep him or her happy and engaged and will leave your mind at ease. Call today to schedule an appointment or to learn more about our premium boarding service. Trust us, you won’t regret it.